Video Equipment Hire Widely Available with Good Monitors All From Us! Excellent viewing for boardroom meetings or training sessions. Talk to us about your needs. 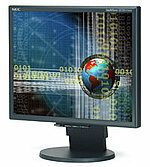 Plasma screens, data projectors, screens and drapes also available.